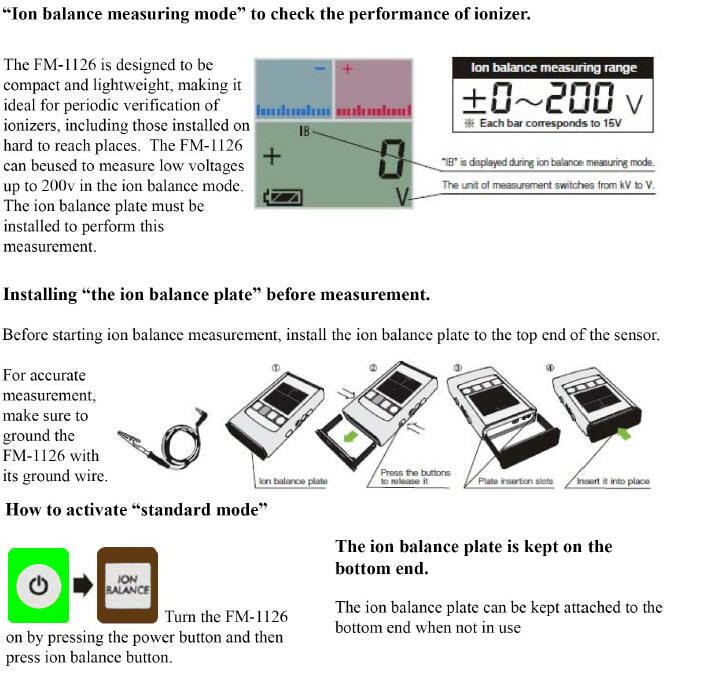 ESD Field Meter Test Static Polarity, Voltage and Ion Balance! Now Just $499.95, Guaranteed Lowest Price on the Web! See this Static Field Meter in action and learn how an esd smock shields sensitive electronics in this 2 minute video! 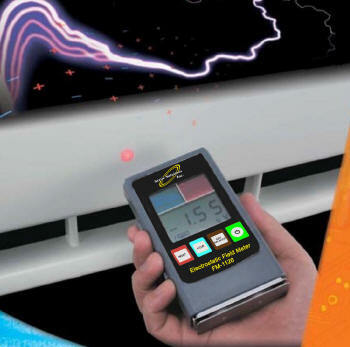 The NEW Static Solutions Ohm-Stat ESD Field Meter is a palm sized electrostatic measuring device ideal for testing static voltages, polarities and even the ion balance of ESD ionizers! The FM-1126 is robust, lightweight and compact making it ideal for the periodic verification of the static control processes used in your facility. Locate the Static Charge and Neutralize it! Use this device to isolate the PERFECT placement of an ESD ionizer on a static laden assembly. Test the accumulated voltage of a conveyer belt and find out where the static starts and where to focus your efforts. Test the accumulated charge on a technician. Now GROUND the person and the charge drops to ZERO. 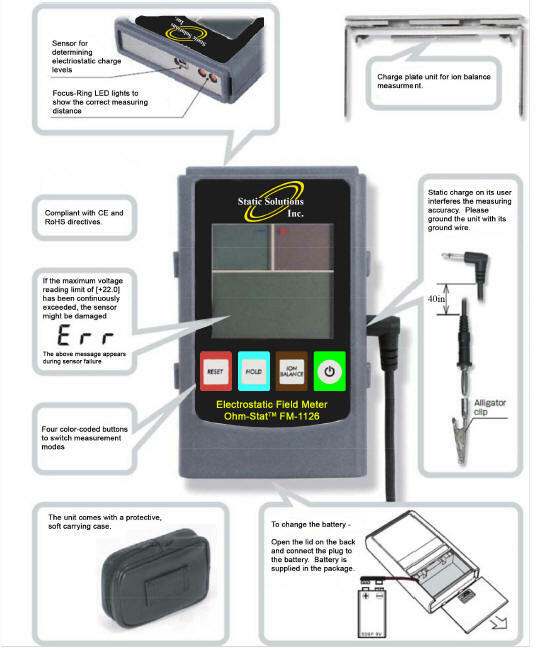 This easy to comprehend tool is invaluable for any esd program. 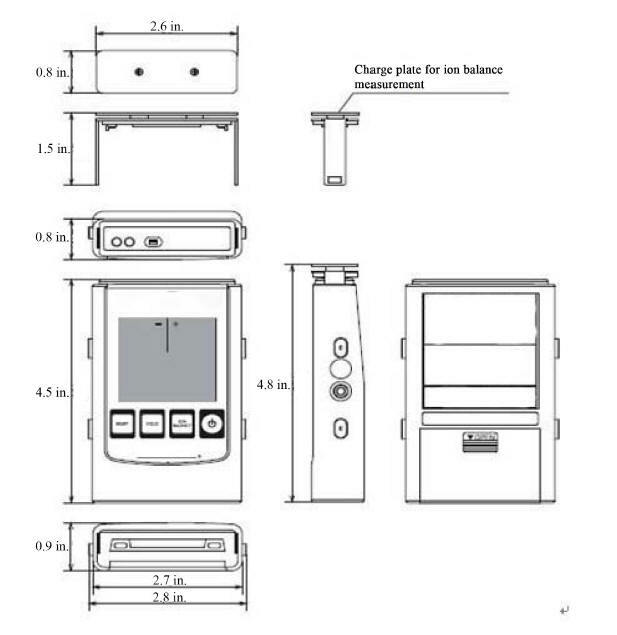 The tool is CE, RoHS and S20.20 Compliant. A Calibration certificate is included with each meter. The multifunctional Ohm-Stat FM-1126 static field meter incorporates a powerful static hardened microprocessor, an ion balance plate, grounding cable and a soft shell case. Accurate measurements of static voltages. COMPLIANT to ANSI ESD S20.20. 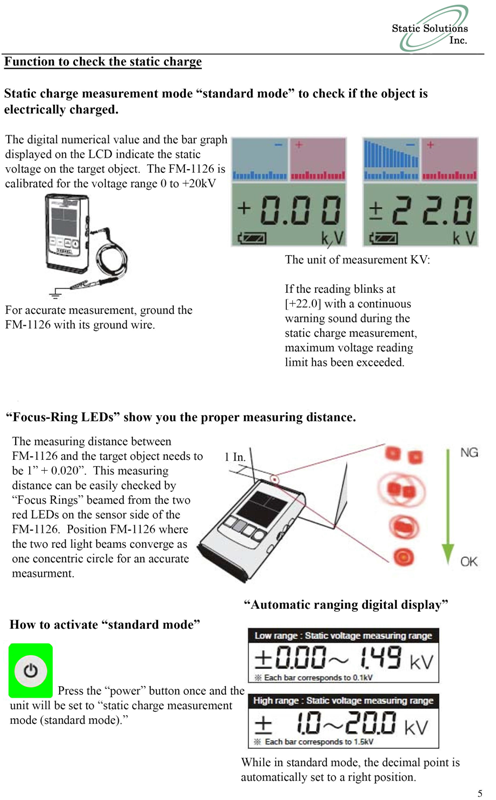 Unique focus ring LED's show proper measuring distance. Audible alarm protection if over range. NIST Compliant, includes certificate of compliance. Back lit technology, easy to read even in the dark! If you find it at a lower published price simply let us know!